I would be re-miss if I didn’t mention the very first pop culture event that I did during my recent trip to New York City. I’ve been to NYC a few times and always walked by Radio City Music Hall but never seen anything in it (aside from paying to do a tour of it). So when I saw that their Christmas show was happening while I was there, I got tickets (and at a discount too!). 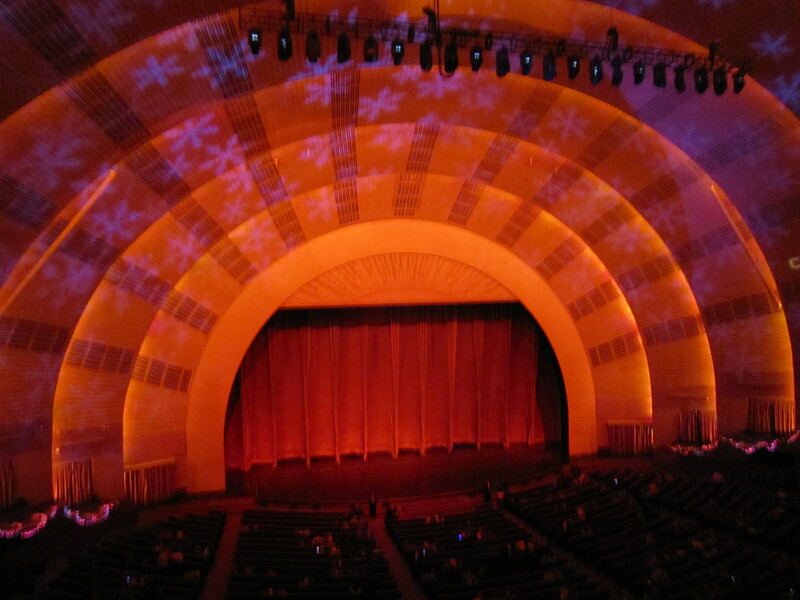 Being inside Radio City Music Hall is amazing. The show that I saw was the 79th edition and this year’s edition featured some pretty cool 3D elements, especially the opening scene as we are whisked away from Radio City Music Hall to the North Pole or was it the other way around -I actually don’t remember as I had just landed that day at 6am so please forgive me if I don’t remember all the details. 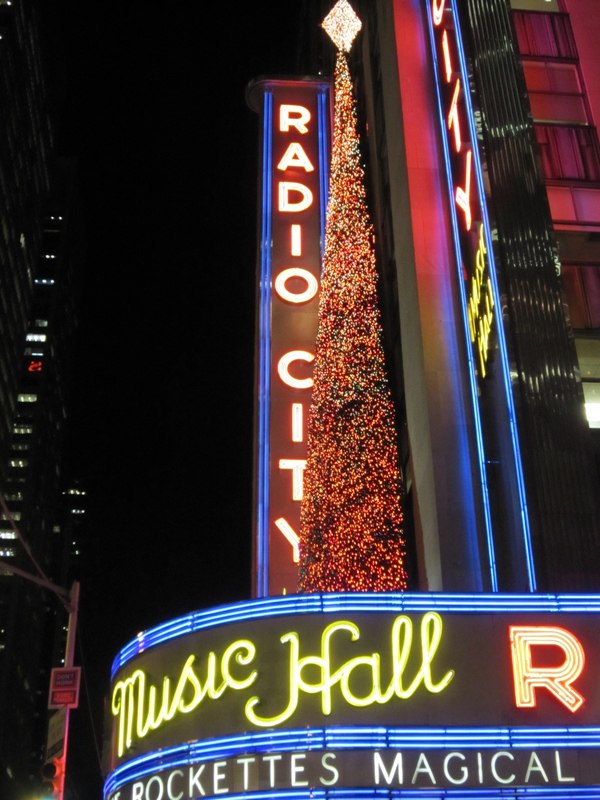 Anyways, the show is comprised of about 14 different vignettes that feature the legendary Rockettes. There were three scenes that really stood out for me: When the Rockettes performed the 12 Days of Christmas and the Wooden Soldiers – the choreography in those two scenes were pretty amazing. The other scene that I really liked and thought was utterly adorable was when they had dancers in mice and bear costumes performing the Nutcracker. Another good scene was the one where a double decker bus was brought on stage and the Rockettes performed a pretty routine. However, overall the show was pretty cheesy especially the one where the mother realizes the true meaning of Christmas with a cheesy song. Even some of the songs in it were cheesy plus Santa mumbled a lot that I didn’t understand what he was saying. 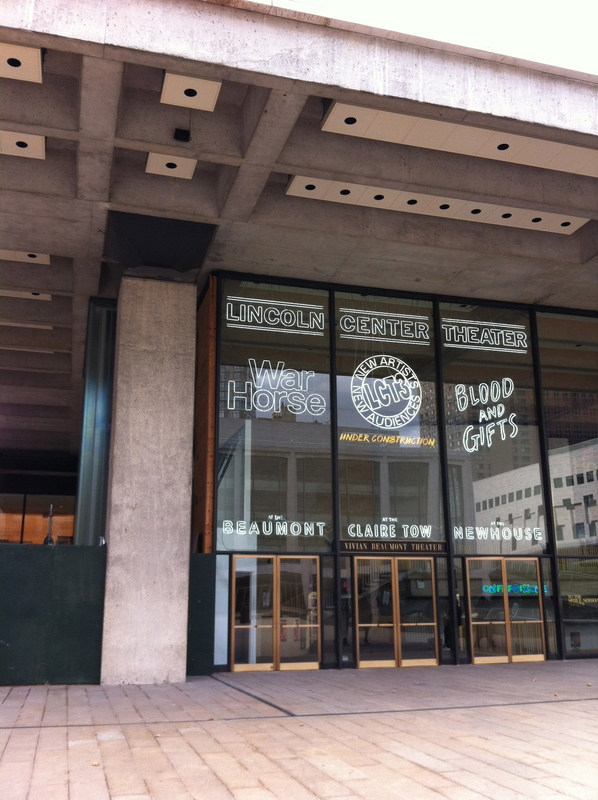 War Horse, playing at the Vivian Beaumont Theater at Lincoln Center is a stunning piece of theatre and haven’t seen anything like it. The winner of 5 Tony Awards including Best Play this past year, War Horse is a tale about a young man and his horse Joey. The basic premise is Joey is sold by his father to the British Army during World War I. Albert (Seth Numrich), Joey’s owner, lies about his age and enlists in the army to find his beloved horse. The horse is played by several people that act as puppeteers and they look very majestic on stage and magical. The motion that these puppeteers do is amazing and it really looks like a horse is really on stage and you are memorized by their movements. I find it amazing that the actors can ride these horses as if they were really riding live horses on stage. The main draw is the story, it is moving that it had me in tears. always wanted to see the tree lighting ceremony at Rockefeller Center (even though I never really watched the special on TV -always thought it was cheesy and didn’t really care for the performances). The experience of being there live was interesting to say the least and I still not quite sure it was worth it to stand 4 hours in chilly weather just for 5 seconds of seeing the tree light up -even though it was really cool to see it live in front of your face. I was in a crowd of 400,000 people and was in Rockefeller Plaza in between Anthropologie and New York City Sports Club. I had a side view of the tree and got pretty close for showing up two hours before it started. I was situated in front of a screen so I could see the performances. I couldn’t tell what was pre-taped and live but for sure Justin Bieber and Neil Diamond was pre-taped (in fact I think I kept on seeing him tape his performance what felt like 100 times). It was a two hour show but only one hour was shown live at 8pm so anything that we saw at 7pm never made it on TV except for maybe Michael Buble singing I’ll Be Home for Christmas (which was pre-taped because twice I saw a camera chord come into frame in the same moment) and the Rockettes and CeeLo Green (who didn’t sing at 8pm but I think on TV he was edited in). Overall, I don’t think it was quite worth it. Everything was cheesy and being with so many people that pushed and shoved didn’t quite put me in the Christmas spirit despite hearing Christmas songs for two hours. Even seeing the lightening didn’t make it quite worth standing 4 hours in the cold for it. But I wouldn’t trade that experience for anything as I would have regretted leaving or not going to see that tree lighting ceremony. 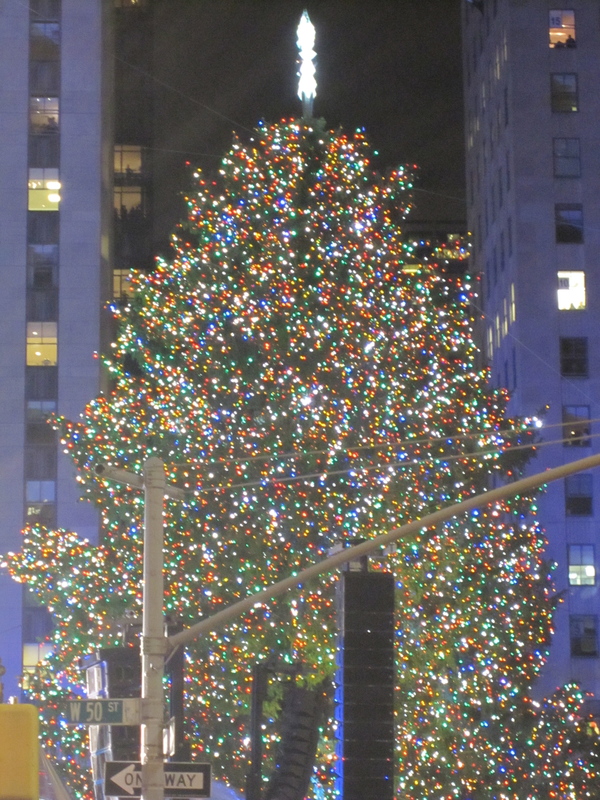 I’ve been to New York City many times but never at Christmas time and seeing that made my New York experience complete.